For about a year now. I met her just across the road from the farm. She was just standing there, stark naked beside the road when I first arrived here…..
She had the most beautiful skin and I felt like I had known her all of my life. I have been trying to find a good time to tell you, it just never seemed like the right time. So I decided to wait for the fruit. Well the fruit is here now. Yes, I get it but let me explain. 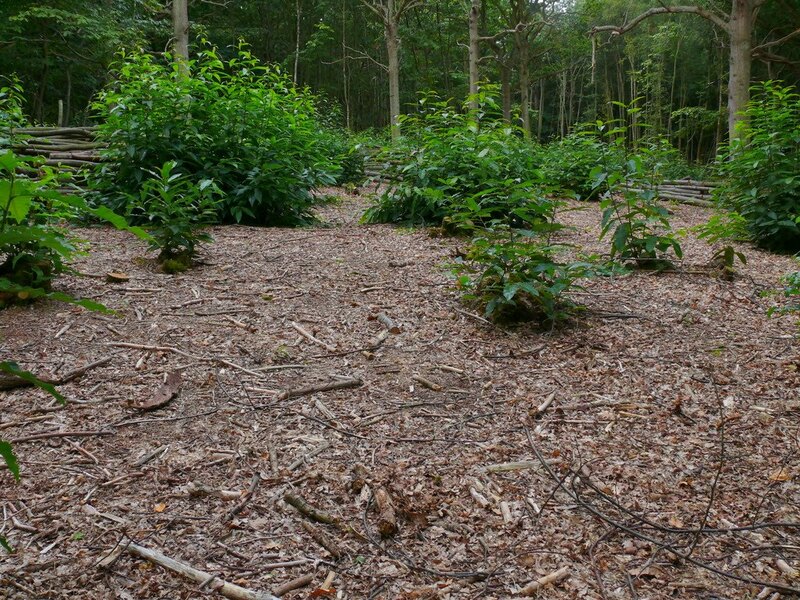 I don’t like Sweet Chestnut coppice because it is a non-native monoculture with no benefit to wildlife and a thick toxic leaf litter that inhibits all other growth. 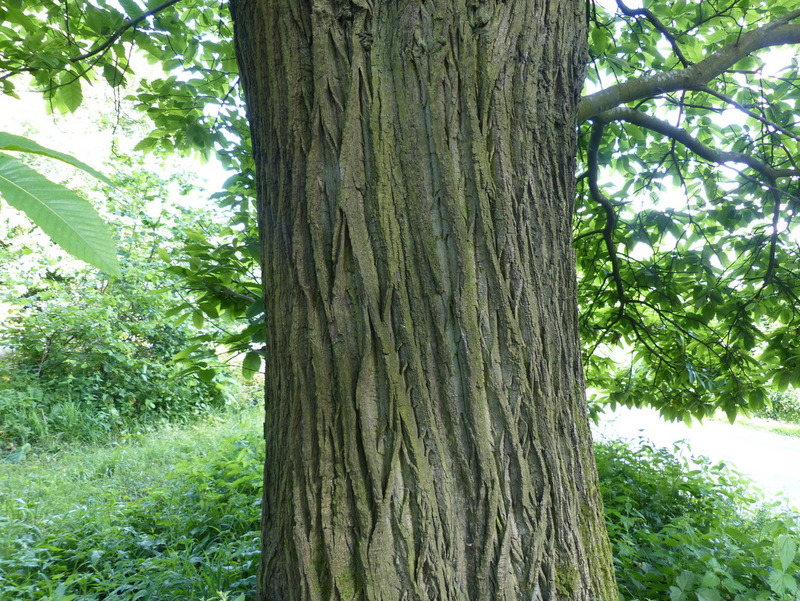 This is a Sweet Chestnut coppice the summer after it has been cut. 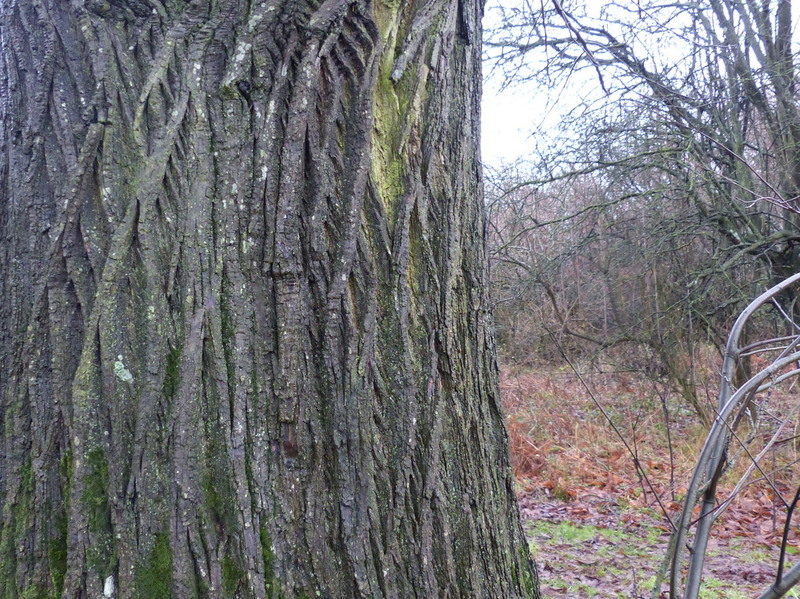 I know quite a lot about Sweet Chestnut coppice, I used to own one. 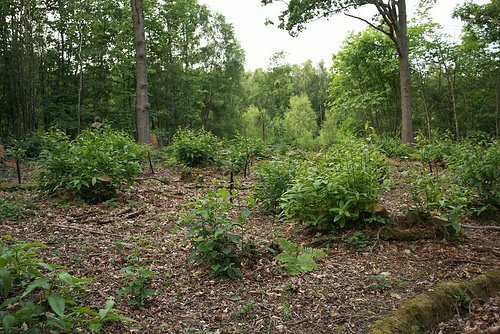 The picture above was taken on the 21st of August and that is a coppice in it’s first year of regrowth. On the same day I took this next picture of another coppice but this one is in it’s second year. 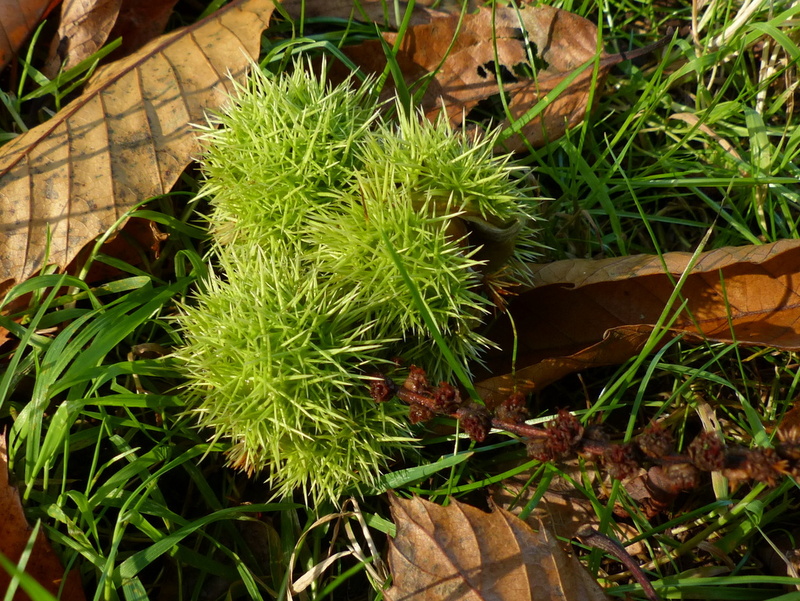 It is the same story, nothing grows here except Sweet Chestnut. The tree has a natural defence. 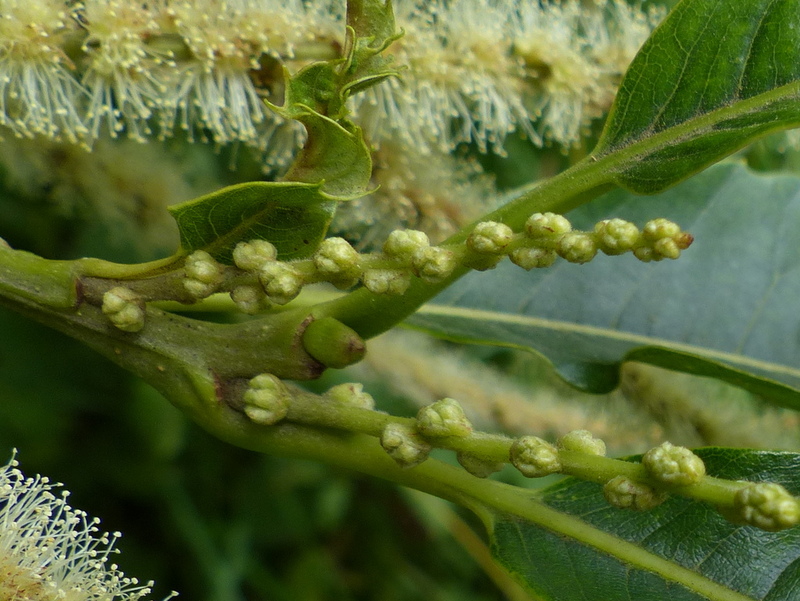 It has toxins in the leaves which leech into the soil and inhibit other plant growth. 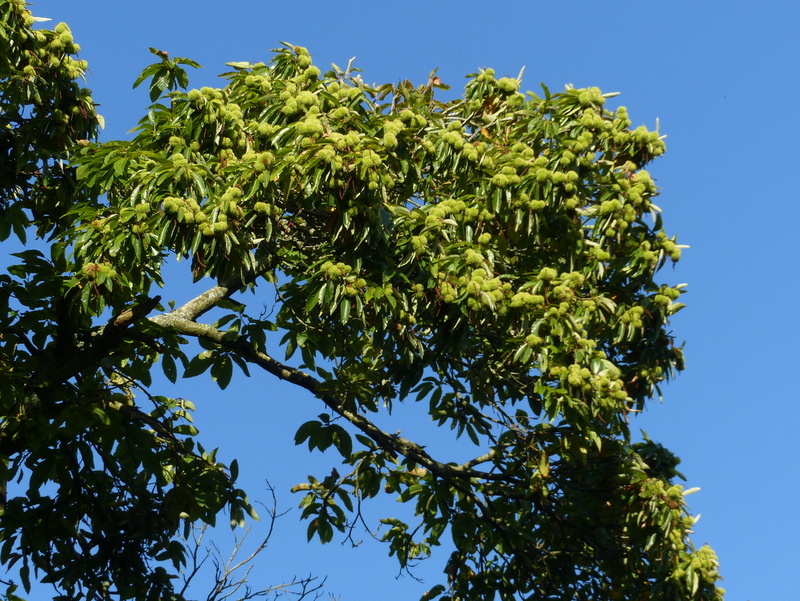 It is the arboreal equivalent of Rhododendron. This next picture is a Willow and Alder coppice just down the road and again taken on the same day and this is what freshly cut coppice should look like. 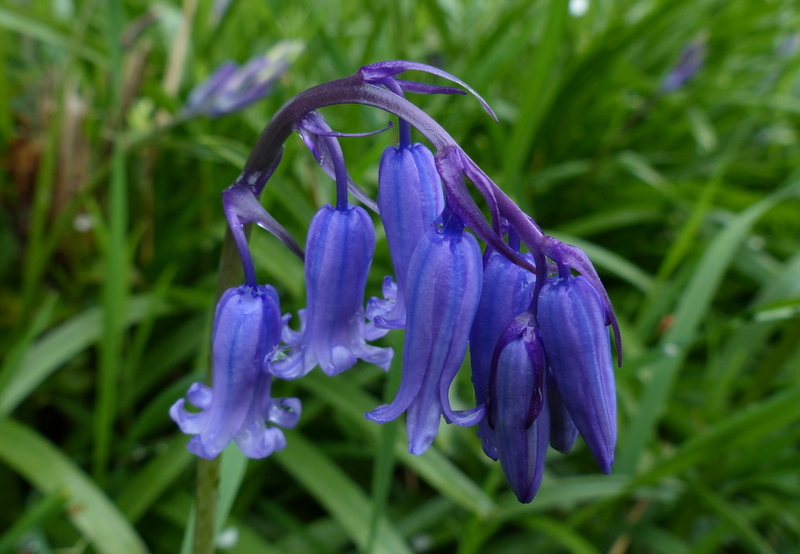 All coppice woodland is not the same. 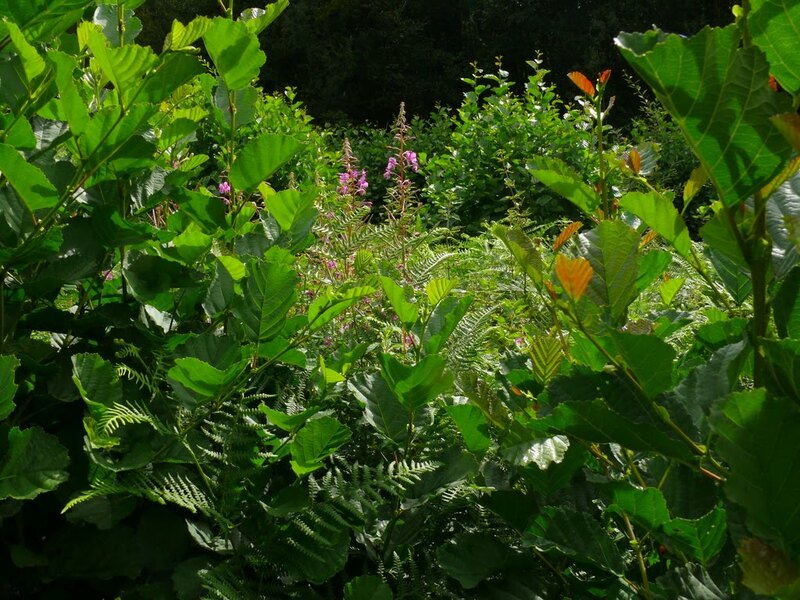 You need native trees to make it work. All of that is history, let’s not dwell on the negative. 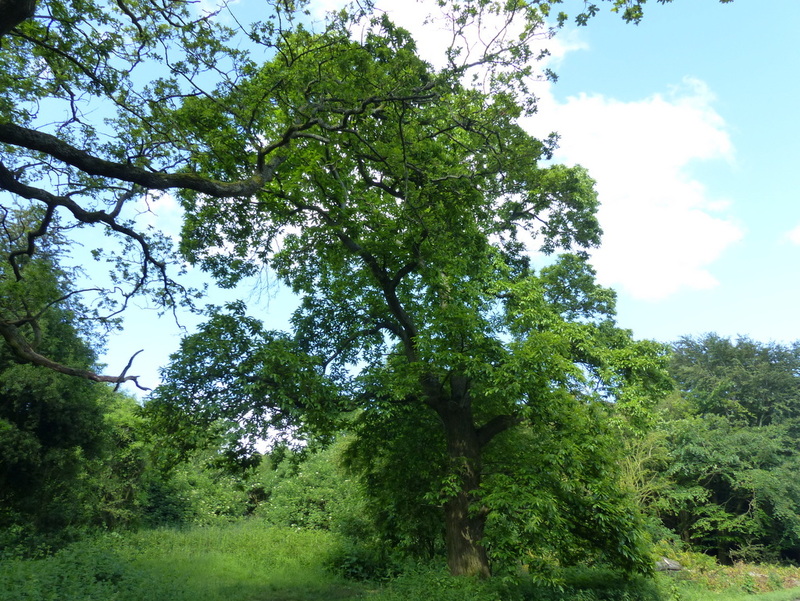 No tree has much wildlife value when it is young, not even an Oak and coppicing keeps trees in a state of eternal youth. To reach it’s full potential a tree has got to mature. 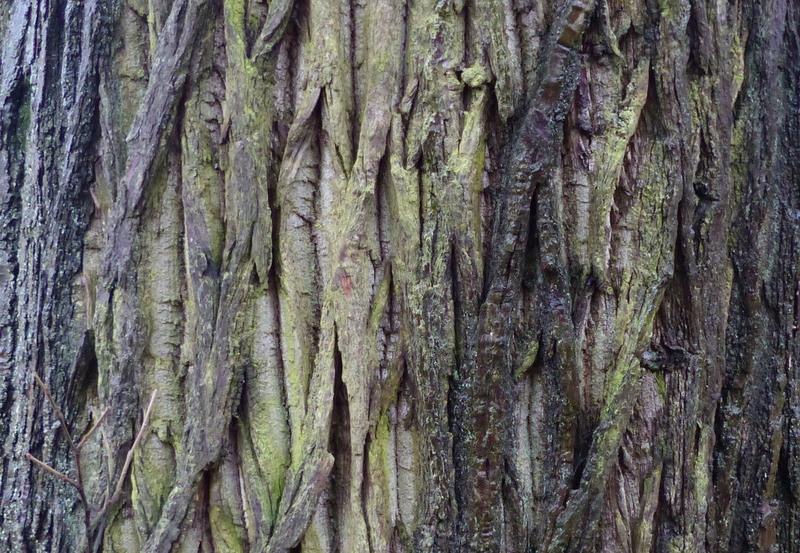 As it grows the smooth bark begins to crack and peel and it starts to provide homes for insects and food for birds. 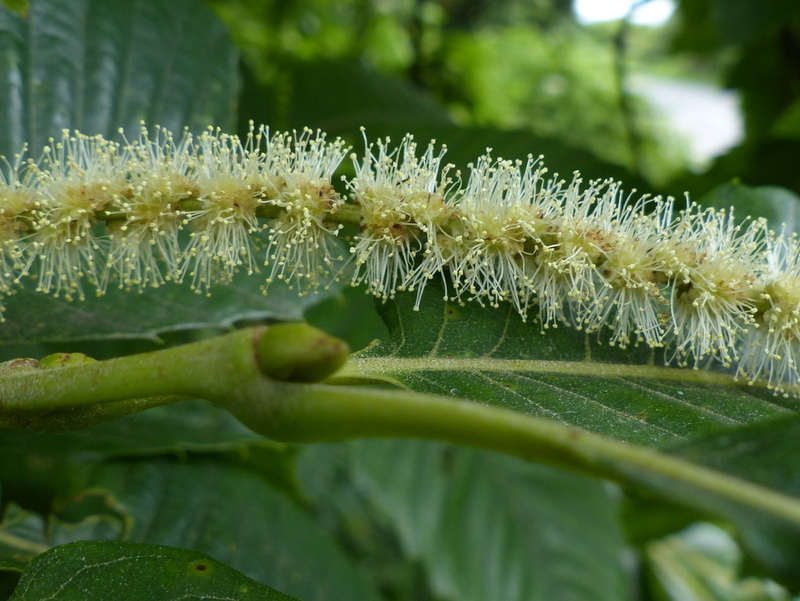 It produces fruits and flowers and parts of it die providing dead wood habitat for insects. 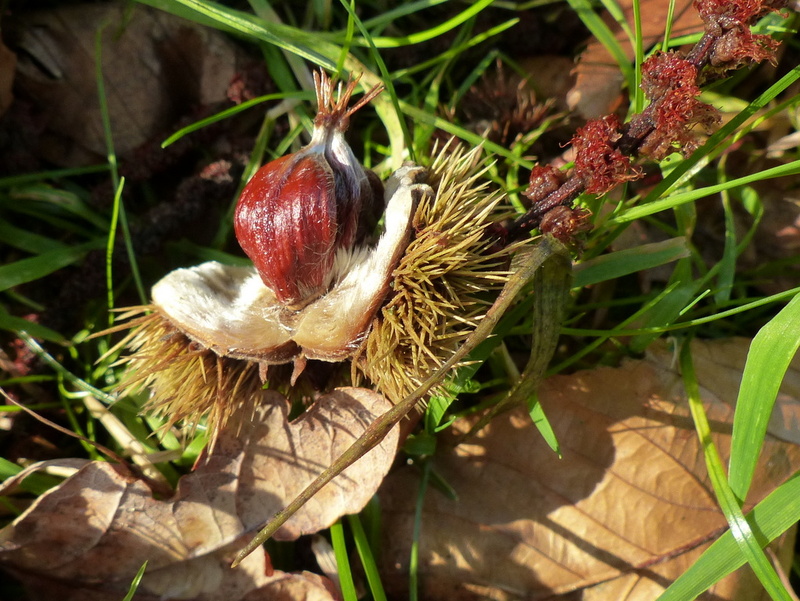 Even so, no Sweet Chestnut is ever going to be a great wildlife tree, not in the UK but as she stands here surrounded by Oak and Birch, Ash and Beech she is contributing. She is producing flowers and fruit that wouldn’t otherwise be here and she is adding to the biodiversity of the area and not detracting from it. This is where I first saw her, it has become like our “special place” and it is where we always come for our clandestine little rendezvous. It is our spot. Then we get to the good bit. 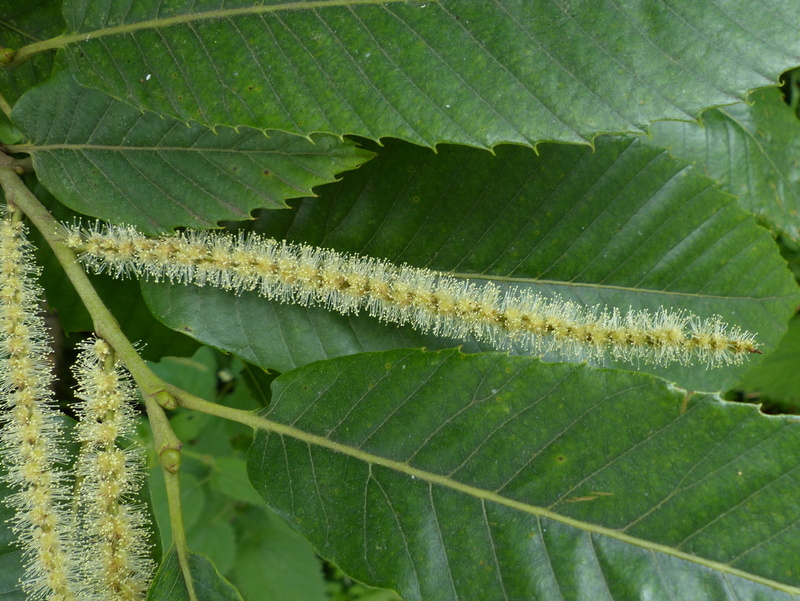 This is the reason that we need to have relationships with this tree and to welcome it into our broad leaf forests to live amongst all of the other trees. The fruits today are still a bit small but there are plenty more still on the tree and it won’t be long now and I will be roasting them over my little camp stove. Previous PostHaareisNext PostYou just couldn’t let it LIE, could you? 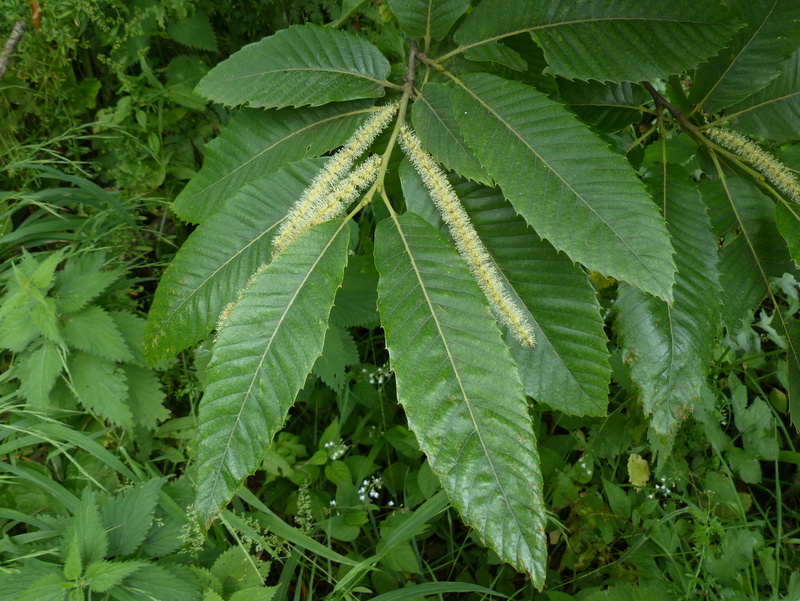 There are very few trees in OZ that have fruit such as the chestnut. We did have the Macadamia but we let Hawaii pinch that. And the others are all up North where my little brother lives. 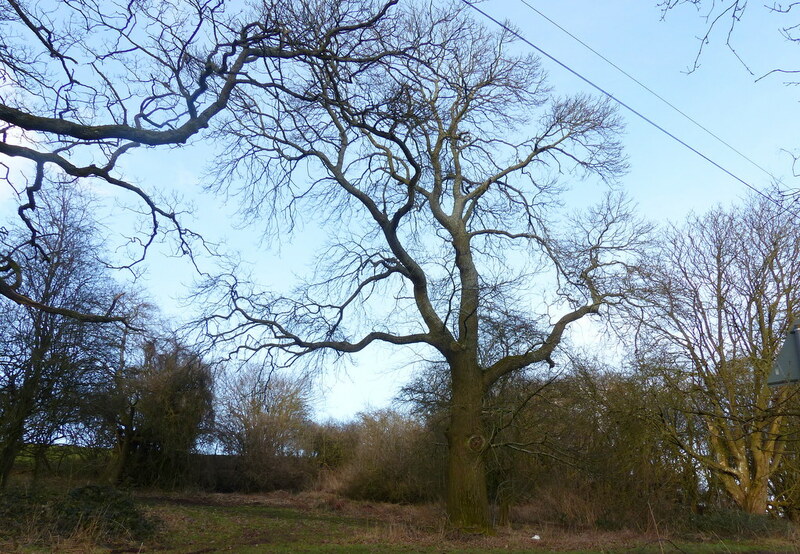 But down in the south we rely on European trees, and few of them are wild. They are all in orchards. But great pics again. One major worry. Where was Fizz? Thanks John 🙂 She wouldn’t stay up the tree long enough for me to take her picture. You shameless Casanova, you. What would your mother say? As John said, “great pics again”. You have such a charming way of telling a story of your daily walks and such a great eye for the details in the woods. John in country Victoria and I’m in the inner city (of Melbourne), Colin. I made some photos for John the other week, but they were lousy due to construction works in the area so I’ll have to re-do them in the summer. I’m very familiar with John’s country town/city though. I used to have a beau from that area about 30 years ago. I am so happy for you both. Congratulations on all four seasons together. I agree that she has lovely skin. And what a profile. 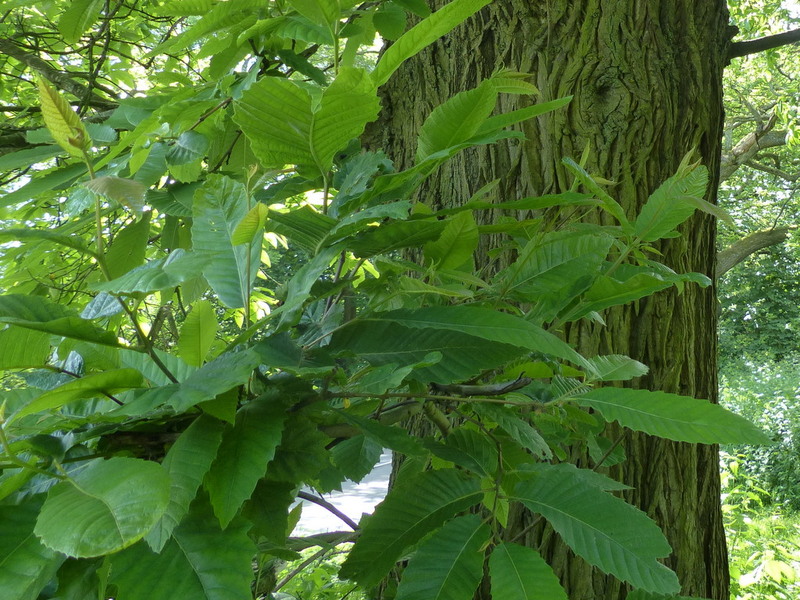 Most of our native chestnut tree in this area were wiped out by a blight years ago. 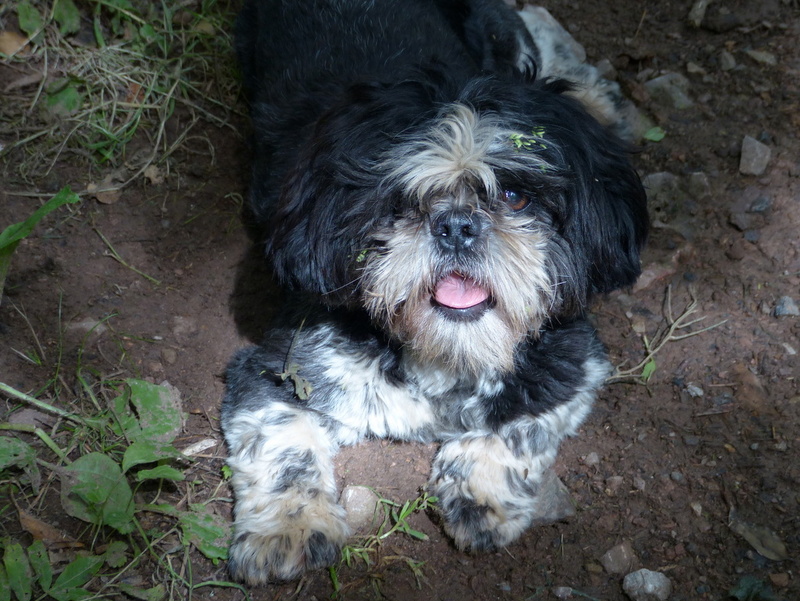 We used to walk in an apple orchard, chasing up rabbits and pheasants and eating apples and chestnuts as we went along. I had no idea that they put down toxic leaves to discourage other growth. Like our black walnut trees, that send toxins out in the roots,and tomatoes and egg plants can’t grow near them, Nature is amazing. 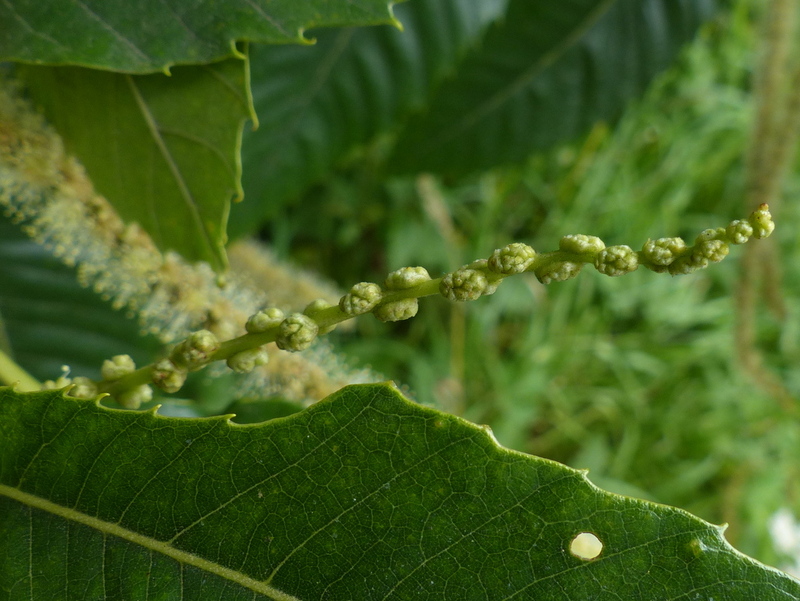 Thank you Sarasin 🙂 The leaves are certainly toxic but I don’t think that it is a strong toxin. 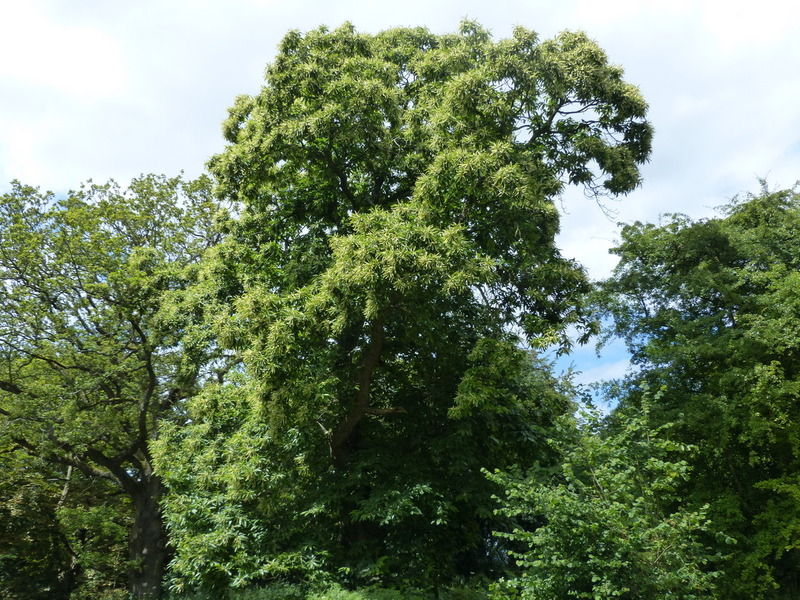 With trees like the one above there is no sign of ill effects on the surrounding vegetation. 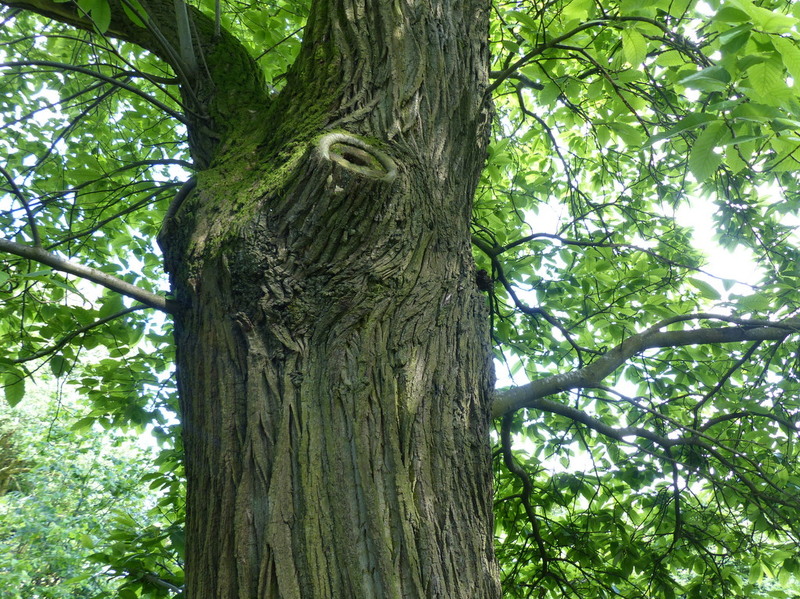 In a Sweet Chestnut coppice, because there are so many trees together, when the leaves fall they create a blanket over the whole forest floor, several inches thick. When that happens nothing else stands much chance. Apart from the toxic effect they stop any light from reaching the floor. On their own they don’t seem to do much harm but if you get a gang of them then they can be trouble. Your fungi posts have been interesting, and your butterflies beautiful, but I really love trees. Thanks! Another beautiful and very em…’enlightening’ post my friend. Love the pics. Well thank you Matthew 🙂 Good to see you back. The little things are quite important but you know that. 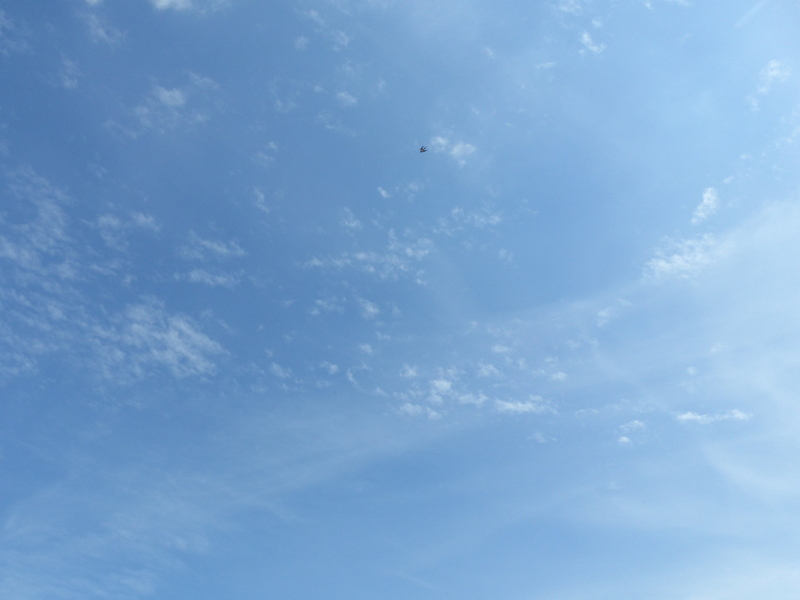 When my brothers and I were small we thought that we would grow as tall as a tree. Thanks for sharing, especially the naked ones. There’s just something about an old rugged tree that I love. Your stories bring them all to life. Happy Trails! Thank you Sandi 🙂 Winter is one of my favourite times for photographing trees. You may expect plenty of bare naked ladies in the coming months. In an arboreal sense of course. Trees have a real beauty in the cold. Thanks, Colin. Trees are just beautiful anywhere. They represent the kind of strength we as humans need to weather the storms of life. Keep photographing those naked ladies. Happy Trails! Another great post. what more do you want? Beauty and free food! Thanks Barb 🙂 Actually I really want to eat this tree, well it’s fruits. I am impatient, it is not quite ready yet but I love the warmth and the flavour. Oh, Colin..What a wonderful one on the sweet chestnut. We are trying to have them flourish here again. I adore your tree. The skin is awesome. I neglected to tell you in a reply further down….Sarasin is my daughter. 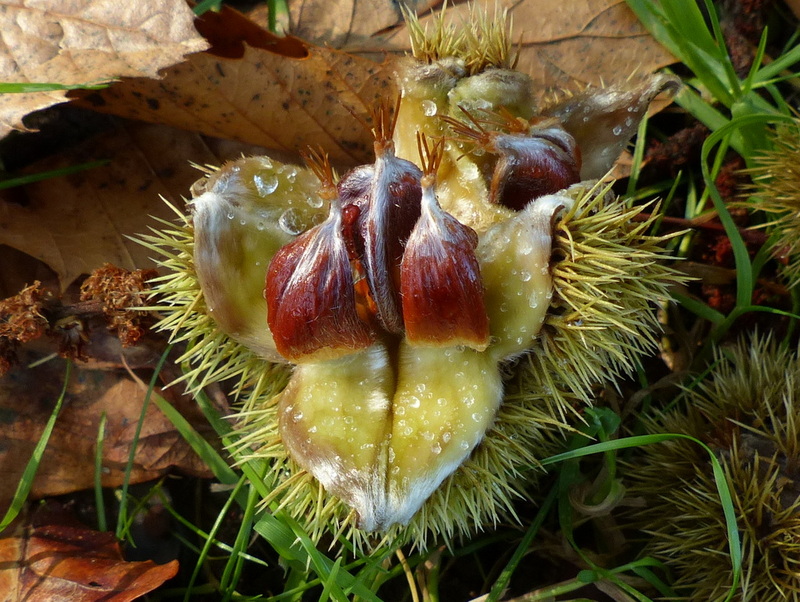 Really great photos and info on chestnuts or Castano as called here in Spain. Will post on ours soon but have been told we might make a bit more money than one euro a kg. not always worth picking them up. 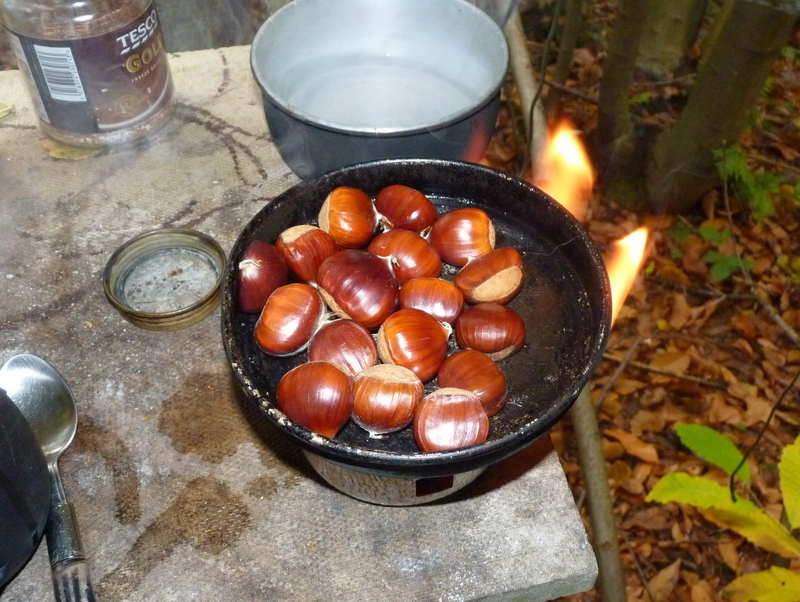 Wished more people really wanted chestnuts as they are a great nut! Not as fattening as most….. 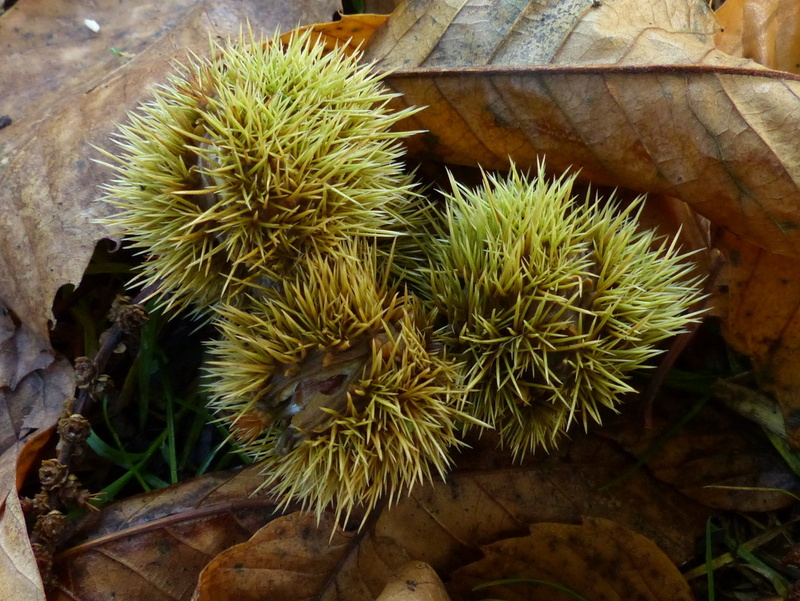 Autumn and sweet chestnuts, yum! 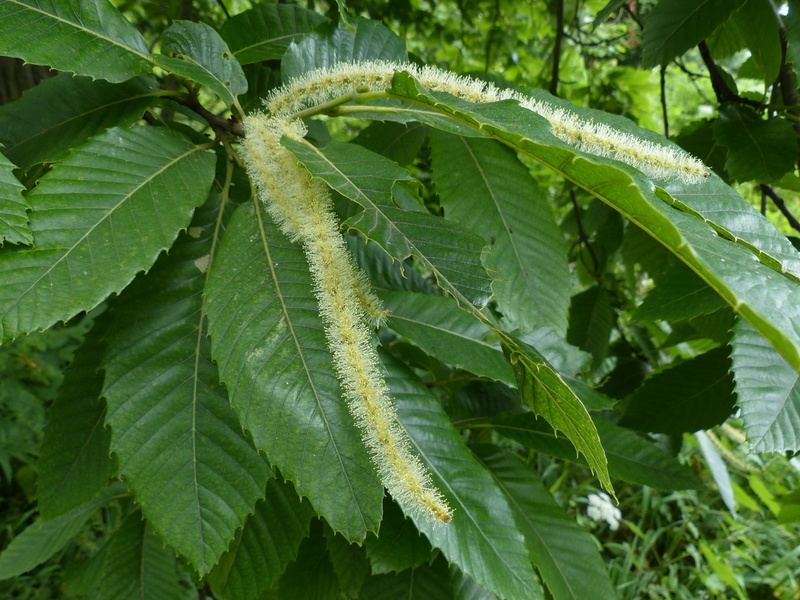 We have planted a sweet chestnut in our garden and it is doing very well – starting to spread its branches and has grown a lot in height this year. Not as stately as your love. 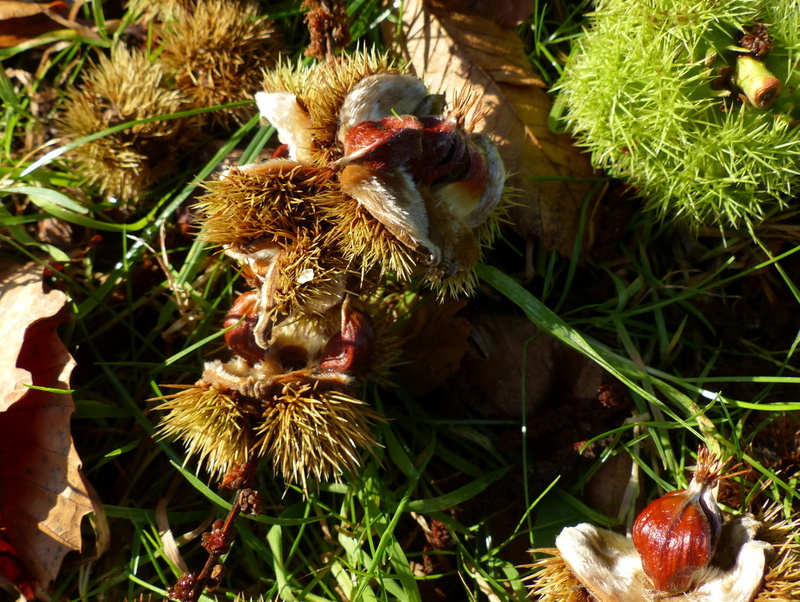 Crunched a few Horse Chestnuts on my way into Creepy Crawley today. It’s not something one gets to eat that often, maybe I should gather a few myself and find a brazier!